Hey people! Hard at work here, and you can see below. I just finished sketching out the next 6 pages, and inking starts later today. 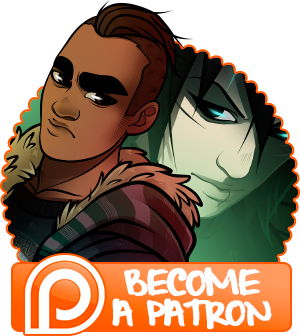 Should have all inks up for Patrons before the end of the weekend, and at least two pages up early before Tuesday. 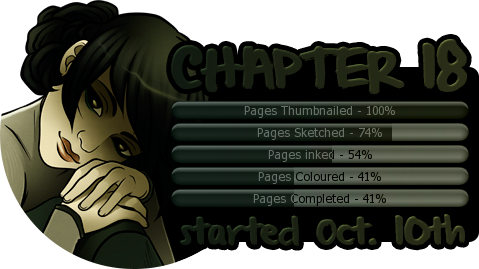 I’m also colouring the very last wallpaper for next month so all of the new wallpapers will be up before Tuesday, too. If you haven’t been reading this chapter’s Alt Text adventure, know that today’s addition nearly killed me when Cory read it out for me! See you all on Tuesday.